RambleFest lists details of Newbridge accommodation, Pubs and Restaurants, including contact info, and website and location links. 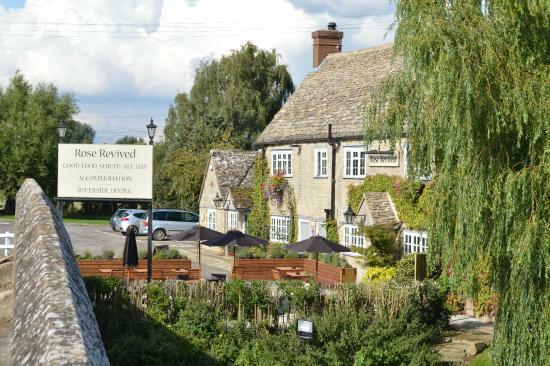 “Ivy-covered walls, Cotswold-stone, weeping willows and right on the banks of the Thames, the 16th century Rose Revived is one of our outstanding properties. With just seven select bedrooms to choose from you’re sure of a quiet stay. All cosy and welcoming, some have delightful river views. Enjoy a cask ale in front of a roaring log fire in the winter, and the sun on your face on the riverbank in our lovely garden during summer. If you have Newbridge accommodation or other service in the area, you can list it free on RambleFest. See our Listing Upgrade page for details.